A differential assembly may not be too popular especially for non-mechanics and those who are not too familiar with how a truck and its vital parts function because it is located underneath the floor of the vehicle and can only be seen when the vehicle is disassembled unlike the panel the assembly, wheels, and other external car parts. A differential assembly uses different gears to be able to transmit power from the motor to the wheels and tires for these parts to function when the vehicle is in a turning motion or when traveling on a curve. The differential assembly is also responsible for evenly distributing torque or power both on the front and rear wheels of the vehicle for the wheels to achieve balance of power on curves and bends. Without a functional differential assembly, your vehicle would jump and skid when you travel on winding areas with numerous curves. To ensure that your ride would be as comfortable and smooth as ever, make sure that your differential assembly is in tiptop condition. To do this, check your vehicle's differential assembly every now and then and pay particular attention to the unusual sounds created by your vehicle especially when the sound comes from the rear and when your vehicle is doing curves. A loud clunk when you are shifting from drive to reverse and back to drive again. A loud grinding noise when you are trying to accelerate. And the more you try to put your vehicle in motion, the more grinding sound it generates. This grinding sound is due to splines getting twisted. You have difficulty maneuvering your vehicles even on turns that are not sharp. Your vehicle skids and jumps whenever you turn around a corner. If you experience any of these warning signs, you should have your vehicle checked. Some problems in the differential assembly is due to lack of maintenance or cleaning. To solve this, you can disassemble the parts and clean the system by taking the ring and pinion or the interlocking teeth on a metal body from the carrier housing where the gear ring is attached to. Be sure that you have noted the exact original positions of the gears and other parts so you can replace them without much hassle. Clean the parts with specialized cleaners for such parts and replace them back for a smoother and hassle-free ride. For individuals who are not too familiar how a vehicle works, a differential assembly is probably a strange word because the usual terms used when referring to vehicles are the common parts with equally important functions such as the engine, the steering wheels, the brakes and the likes. But to serve a vehicles owner to its comfort and maximum riding ease especially when turning on corners and during curves, a differential assembly both or could be the front or only the rear, works to its full extent to give the vehicles passengers especially the driver an easy vehicle manipulation when the vehicle has to turn. Trucks and vehicles manufactured these days are fully equipped with a differential assembly or a system because without it, the driver would have difficulty maneuvering the vehicle to its intended direction when turning or doing a curve. The main function of a differential is to evenly spread out the force to a particular wheel or the other wheel depending on the drag. When the vehicle is traveling on a bend or a corner, the external wheels travel further compared to the internal wheels, without a differential assembly, the vehicle would skid and leap because all its wheels have the same power and were not controlled by a differential system. All vehicles must be equipped with a differential assembly except for motorbikes because it works on its own balance when turning into a corner. How Does a Differential Assembly Work? Epicyclic differential. This uses epicyclic gears or planetary gears to evenly distribute torque between the front and rear axles. Spur-gear differential. This type of differential assembly uses spurs and was used in old model type of vehicles. Active differentials. 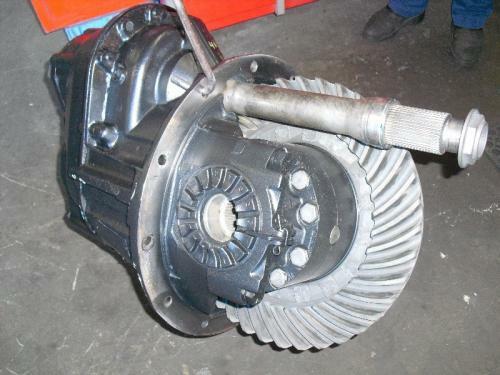 This type of differential is used among high end and modern vehicles because it uses electronic control unit to serve the functions of the assembly. 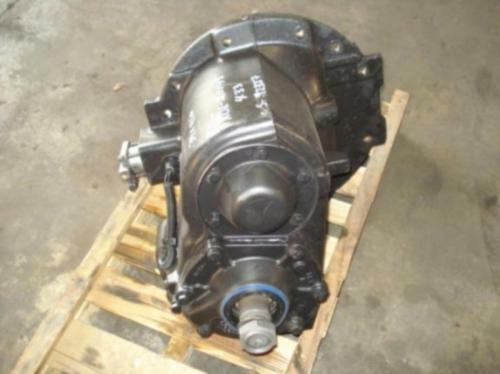 We sell high quality remanufactured/refurbished and used Differential Assembly (Matched Set) for export, repair or rebuilding purposes. If you are a truck owner/operator, trader, dismantler, truck repair shop owner, importer or exporter feel free to contact us with any questions or requests you might have regarding getting the right Differential Assembly (Matched Set) for your medium or heavy duty truck. We have a large network of truck parts stores and can help you find any commercial truck part you may need including a Differential Assembly (Matched Set). We offer a180 day full refund or exchange and 30-day low-price guarantee. Whether you're looking for a new, refurbished or used Differential Assembly (Matched Set) we can find it for you cheap and fast, no matter where in the world you need the Differential Assembly (Matched Set) shipped to. Feel free to check our online catalog or contact our sales department at 1-866-381-2897 (outside US call +1 813.421-8761).